Designed especially for heavy use and tactical applications, Rick Hinderer's XM-18 3.5-inch FATTY Edition Wharncliffe with black G10 features an American-made 3.5-inch Crucible 20CV stainless steel blade, stone-washed for durability and a sleek appearance. The wharncliffe grind blade profile creates a wicked-looking, tough and rugged blade that is perfect for cutting and slicing, as well as puncturing. 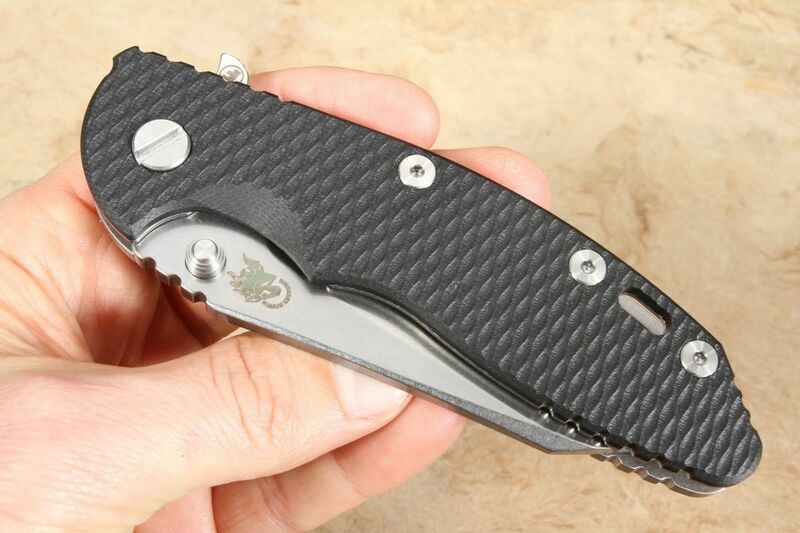 The textured black G-10 and stone-washed titanium handle of the XM-18 provide a solid grip and exceptional control for heavy-duty use. Dual thumb studs and a flipper allow for a quick, one-handed opening in either the left or right hand. 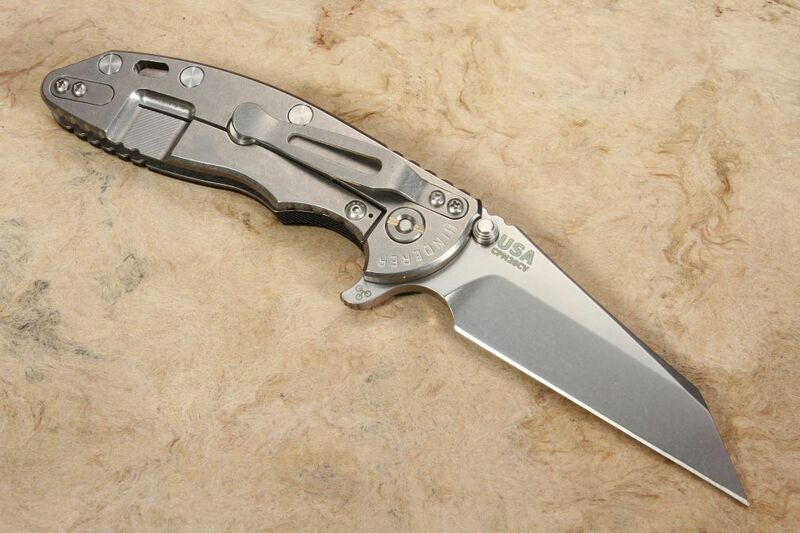 This XM-18 features the Hinderer Tri-way pivot system. Jimping on both the handle's spine and the thumb rest allow for a sturdy, secure grip while the knife is in use. 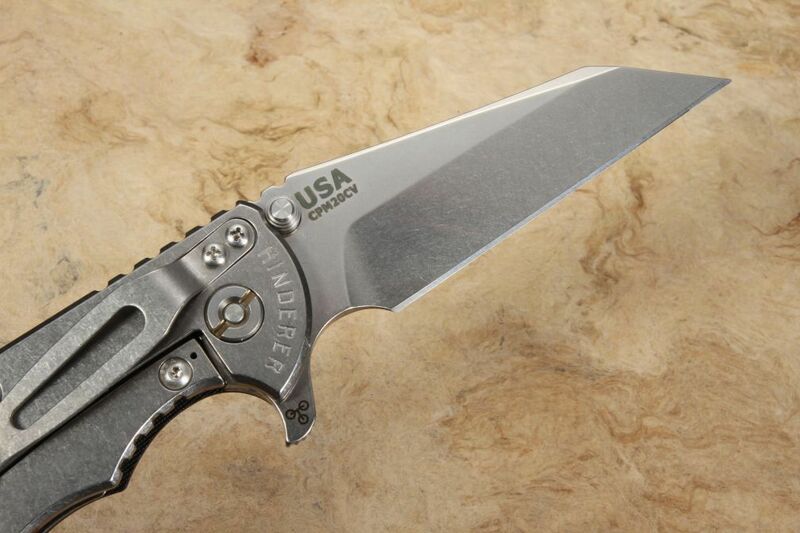 A solid frame lock design provides smooth opening and closing and puts a lot of beefy titanium behind the blade when it is opened. 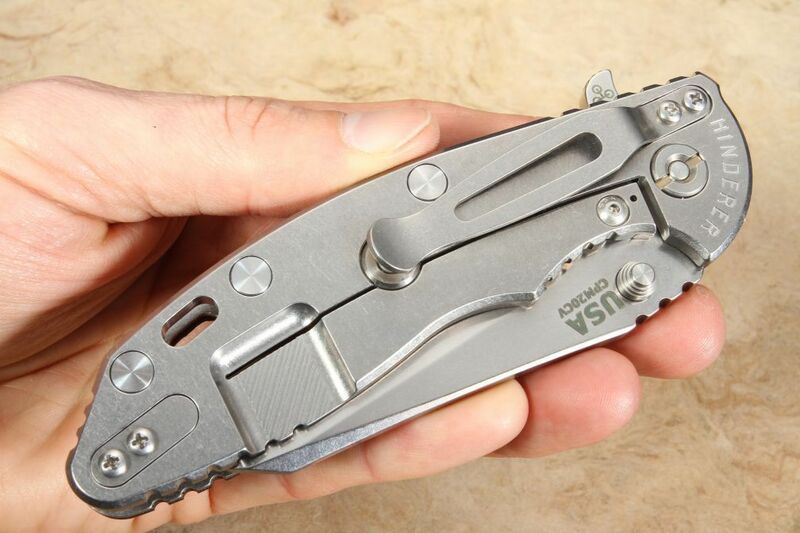 With a lanyard hole in the handle and a removable titanium pocket clip provide a variety of carrying options. 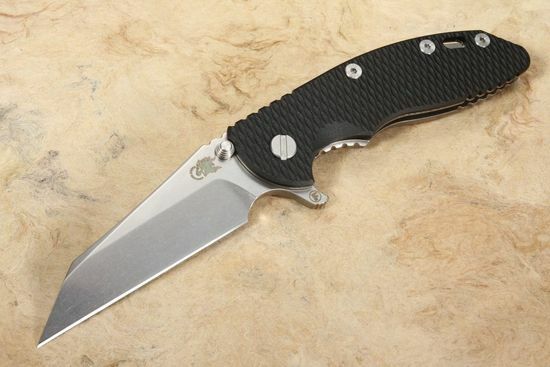 At 5.6 ounces, the XM-18 fatty provides an overbuilt knife for almost any situation.